Yeddi Gumbaz Mausoleum or Seven Domes – is a cemetery located near the Shamakhi city of Azerbaijan. Its name comes from the seven mausoleums built within the cemetery. Here, family of the Mustafa Khan- the last ruler of Shamakhi khanate have been buried. Unfortunately, only three out of the seven original mausoleums reached to our date without getting damage. Other mausoleums have partially damaged, some lost their cupola and walls. The architect of the mausoleums was Usta Taghi. All seven of the buildings belong to the early 19th century. 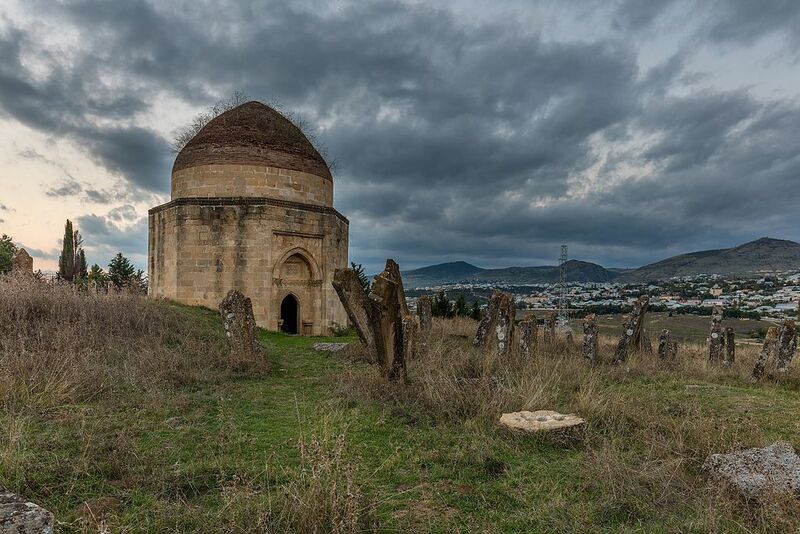 Usta Taghi constructed the first mausoleum in 1810 and the year of construction This mausoleum has eight-edge with its external edges covered with arch shaped half-cupolas. The eight-edge design changes to a hexahedron one with an arches and then turns into a circle of the cupola with the help of angular rosettes. Cornice made of black stone and built in a shape of simple ornaments finish the trunk of the mausoleum. Moreover, white stone covers both the internal and external side of the mausoleum. All three fully preserved mausoleums have the same kind of archeological design. Altogether, the buildings are excellent example of Shirvan architectural school. Want to learn more about the “Yeddi Gumbaz Mausoleum”? Then, see our Shamakhi- Lahij tour.